Educational Qualification : Candidates should be a qualified Chartered Accountant / Cost Accountant / MBA (Finance). RBI Selection Process : Selection will be based on Interview. 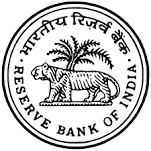 How to Apply RBI Vacancy : Interested candidates may apply in prescribed application form along with relevant documents send to The General Manager, Reserve Bank of India Services Board, IIIrd Floor, RBI Building, Opp. Mumbai Central Railway Station, Byculla, Mumbai – 400008 on or before 30.10.2017.